1 Why is this Malachite now? Why is this Malachite now? Other minerals in Tamriel often don't match up exactly to their real-world counterparts, such as Ebony, which is really a dense black wood, not a rock. Quicksilver is another name for Mercury, which wouldn't make terribly good armour. "Maybe Bethesda thought that calling something 'Glass ore' didn't sound very good..."
The Malachite of Tamriel may just be "igneous intrusions into the rock." I've also come across this quote numerous times, but have been unable to source it legitimately. Is it a citation direct from MW? "The Dunmer are the masters of light armor design, and the glass armor is the pinnacle of that design. Inspired by traditional High Elven ornate armors, this very expensive armor is studded with native volcanic glass. Remarkably light and flexible, glass armor absorbs and distributes shock better than steel." (←) And yet, back in March 2012, Jak mentioned such an ingredient above as evidence that "Malachite" and "Raw Glass" are the same thing, an error that was never addressed until now. Glass equipment is said to be of High Elven (Altmer) origin. While "little of the geography of the Summerset Isles is known", it would seem foolish to assume that there is much (or any) volcanic activity there. This discussion on the UESP forums also supports this. To quote Pilaf the Defiler, "Malachite deposits exist in several provinces. The Altmer invented the technique, but an escaped Dunmer slave later brought it to the rest of Tamriel. "† So, it would seem that the Altmer had been making glass equipment out of Malachite in the Summerset Isles long before they would have had access to the raw glass of Vvardenfell. †Pilaf then goes on to say that "Malachite deposits are especially prevalent around Red Mountain..." which would appear to contradict his original statement. • It is a generic name for glass. • Bethesda haven't said it isn't. • Real-world science says it isn't. • Bethesda haven't said it is. • Bethesda haven't declared it a retcon. (←) Let me summarize what we have established so far from this discussion, using a table. The first column lists positive evidence that either supports or opposes the status quo. Positive evidence is the type that says "this is true". The second column lists negative evidence, of the type that says "in the absence of _________, this must be true". The status quo that the evidence either supports or opposes, is that malachite is volcanic glass. Any evidence marked in the table with † is as yet unconfirmed in this discussion. Any evidence marked in the table with ‡ is admittedly circumstantial evidence. From this table, I see only one piece of evidence that supports the status quo, which isn't either unconfirmed or circumstantial. Jeancey's assertion that Malachite is a generic name for volcanic glass seems to fly in the face of reason, when set against the real-world fact that Malachite is not a type of glass at all. Sure, the games use the term "Malachite" to refer to an ore that can be smelted into ingots, and from there forged into weapons and armour. There is nothing in that statement to say that Malachite, in its raw form, is a type of glass, let alone volcanic. By extension, would you say that sand is glass? No. Sand can be used to make glass, but that doesn't mean it is glass in its raw form. As a child, I was a keen rockhound. My favourite minerals were malachite and azurite, both of which occur in similar locations in the real world. I owned several examples of both. Sliced and polished, malachite can take on quite a shiny, glassy appearance (see here for example). The fact that the Elder Scrolls refers to it as "glass" does not imply it is actual glass, as the in-game book that Legoless quoted says. " What we call Glass is nothing like the windows [sic] panes you see in houses." Were it to be any sort of glass, volcanic or otherwise, it would be completely inappropriate as a material for crafting weapons or armour from, other than ceremonial ones. Interestingly, that particular quote goes on to mention "greenish material", and then mentions that it has "a much higher melting point" than regular glass. Does anybody here happen to know what you get when you smelt malachite, at, say, 2000°F in the real world? A science lesson for today. The result is something that quite honestly resembles regular Elven Armour, rather than glass armour. This then is where the other quote above, the unconfirmed one from an official game guide, comes in to play. It would seem from this quote that glass armour goes beyond being just regular Elven armour because it is "studded with native volcanic glass". Not malachite, mind you, but actual glass. Studded. Not constructed entirely out of it. If you wanted to turn a regular suit of defensive armour into an offensive melee weapon, adding shards of sharp glass to it would be one way of achieving it, that's for sure. I am reminded of the fact that this is the "Unofficial" Elder Scrolls Wiki, it says it right there in the name. Having an "official" statement on such a minor matter would be terrific, and to have someone like you go out of their way to ask someone from Bethesda about this is more than I would have hoped for. Thanks Jeancey. In lieu of an answer one way or the other, I withdraw my objection to the claim that, for the purposes of the Elder Scrolls games, malachite is volcanic in origin. I'm sure that, when you get a definitive answer, you will cite it appropriately in the article for all to see. Just chiming in to say that I've restored Daric's comment that was deleted earlier. I've loosely followed this discussion for a bit, and while it's pretty clear you guys strongly disagree on this point, it reads very definitely like a thoughtful, civil discussion and not at all like a "flame war". In my opinion it was Daric's intent to gracefully back out of the debate (like, the opposite of trying to pick a fight), and I don't see any reason to delete the comment when that's all he was trying to say. After a bit of a wiki break, and after having seen that logical, reasoned argument is still possible on the UESP wiki, I'd like to take Eshe's offer up, to carry on with this debate. I was disappointed with how this ended previously. My feeling is that the issue definitely was not resolved above. I had acquiesced on the disputed point of whether or not malachite in the game is volcanic in origin, in lieu of an out-of-game clarification from Bethesda which Jeancey had offered to arrange. As far as I was concerned, the debate ended there. However, Legoless then undermined that resolution by pointing out that "Bethesda can't 'confirm' it out of game", as per the Citations in Lore policy. This leaves us back at square one. There still isn't anything conclusive from in-game that definitively states that malachite is volcanic in origin. I don't disagree that the raw glass of Morrowind is volcanic. I don't disagree that the volcanic raw glass of Morrowind is used to create glass weapons and armour. I don't disagree that malachite in Skyrim is used to create glass weapons and armour also. However, I don't see any evidence of a retconn saying that the malachite of Skyrim is the raw volcanic glass of Morrowind. Renaming the Lore:Glass page as Lore:Malachite may have been a mistake, in my view. At the time of that change, Jak Atackka mentioned that "The harvested material is called glass, the actual ore is called Malachite." I dispute this also, as I personally have never harvested any glass in Skyrim. I have, however, harvested malachite ore from malachite ore veins, and forged that ore into refined malachite ingots, which I have then used to make glass weapons and armour, sure. But even if we don't know how refined malachite relates to the glass weapons and armour crafted from it, there is still no evidence to say that malachite is volcanic in origin. "...as I mentioned at the very start of this discussion, I have already read that book and could find no evidence in there that Malachite is volcanic glass." And yet you still want to use Light Armor Forging as your "proof"? Were does it say, specifically, in that book, that malachite is glass, or that malachite is volcanic in origin? Remember, the wiki link on "greenish material" to malachite is not actually found in the in-game book. It was added by a wiki editor, and is itself supposition. The same book later goes on to say that malachite is the principle ingredient of glass armour. That does not imply that malachite itself is glass. It is an ingredient used in making glass armour. We don't know how that works, but it does. I have no problem setting aside logic and real-world science to accept that as an in-game fact, and I won't try to explain it, as that too would only be assumption. What I'm looking for are facts from in-game. If we cannot prove that malachite is of volcanic origin, then the reference to volcanism in this article should be removed. On the other hand, if you want to continue with the assumption that "glass" is volcanic in origin, then we need to split this article back into its Morrowind and Skyrim parts, listing raw glass (as harvested in Morrowind) as being volcanic in origin, and malachite ore as being something else entirely. Yet both are able to be used to create glass weapons and armour. Well, what I'd prefer is an answer to my question. Voicing your desire for more explicit corroboration isn't really the same thing as discrediting the current sources. 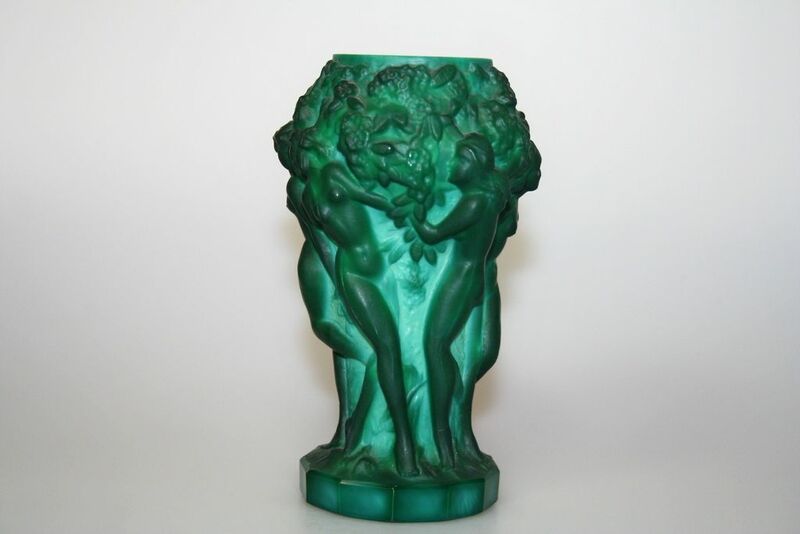 By deprecating inferences in general, you are not making the inference that glass is malachite seem doubtful. We make inferences all the time. We must, because Bethesda frequently gives us incomplete and inconsistent information. This is not a problem unique to glass/malachite by any stretch. What you have not presented is any reason to think that malachite and glass are different. We have plenty of reason, on the other hand, to think they're the same. As we get more information, our understanding could change, but for now, glass and malachite being the same is the logical conclusion, and that's how the page should treat them. So leaving out "volcanic" on this page would be a disservice to the reader. If you don't like the fact that Bethesda hasn't spelled out everything perfectly, take it up with them, but we have to do the best with the information we're given. Anyways, I responded to this because the language in your revival made me think I might have missed something in this argument, but this is not the case. You don't like the outcome here; I can relate. But when I've made my position clear in a disagreement, and the community disagrees, I shrug and find something better to do. I don't come back two months later to reiterate the same argument in the hopes that, what, people would have changed their stances in their old age? That throwing a few back-handed insults at us would prove persuasive? This is just the wiki equivalent of filibustering. It's not a great way to "win friends and influence people". This topic is now closed for the benefit of all involved. This page was last modified on 5 March 2019, at 10:28.